The Internet Archive, which is based in the Richmond District in San Francisco, is a nonprofit organization that provides permanent storage and free access to music, websites, moving images and millions of public-domain books. For example, the Wayback Machine, which is its Web archive, contains more than 480 billion images of websites at the time of this writing. It has archived more than 10 petabytes of data. ... And it's also found a way to commemorate its researchers and archivists. 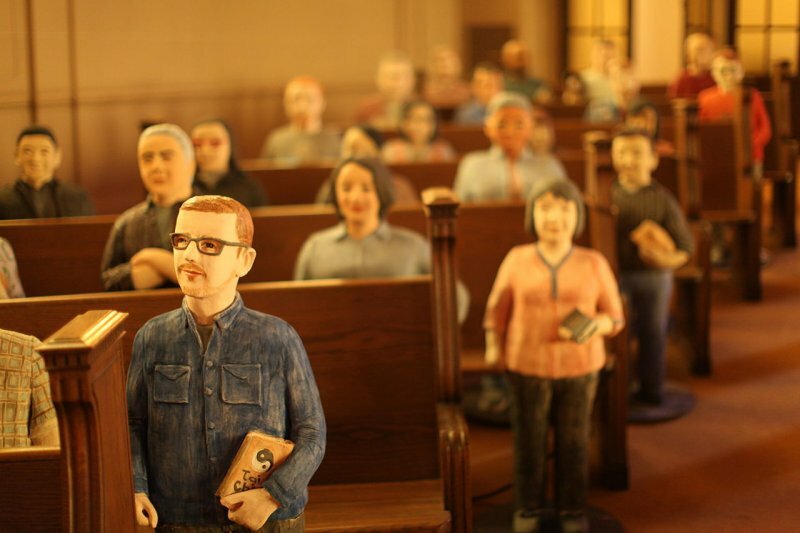 The Archive commissioned a fine arts sculptor named Nuala Creed to make statues representing people who have dedicated at least three years of service to the Internet Archive. To date, Creed has made 100 statues, and they reside in the Great Room at the Archive and are scattered among the old church pews. The Internet Archive's founder, computer engineer Brewster Kahle, was inspired to start the project after he went on a trip to China and saw the terracotta warriors, which depict the armies of the first emperor of China. Creed says that she works from photographs of the people, and a brief statement about their interests. The statues are also holding items, such as coffee cups, books and cellphones. Almost nowhere else in this day and age could you work at a job for three years or more, and have your boss commission a statue portrait of you as a way of saying thank you. This commemoration speaks to the extraordinary mentality of those who consciously develop the Web as a medium, and who grasp its indelible impact on global culture and history.